45 x 63 cm print on high quality Gold paper. 10 years on from his breakthrough with the ‘Bristol Dinosaur’ that kick started a series of high-profile wall pieces in his home city, artist Andy Council, joins UK print project Edition Fifty to bring more of his otherworldy creatures to the walls of people’s homes. 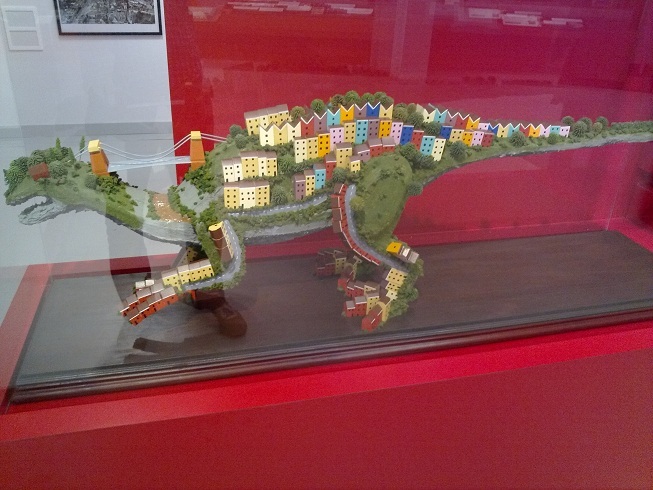 The Portishead cranes, the Cabot Tower and the Clifton Suspension Bridge were all included in Andy Council’s breakthrough work, Bristol Dinosaur in 2005, which depicted the city as a rampaging, prehistoric beast. Since then, and numerous dinosaurs later, the artist brings an example of a new, oriental-influenced work as a stunning screen print with specialist street art print project, Edition Fifty. The discovery in Mongolia of a 3D fossil that forever preserved the figures of a Protoceratops and a Velociraptor in mortal combat forms the basis of Council’s newest print release, Fossilised Fight. Having since deviated from the style and subject-matter that first made his name, Edition Fifty has inspired him to return to his roots. The outcome is two new, feathered creatures that are simultaneously more faithful to what archaeologists think dinosaurs looked like, yet draws heavily on Far Eastern decorative influences. Screen printed onto gold paper, the print evokes the sumptuous silks and ceramics of classical Chinese arts and crafts, while also revealing the dramatic movement in the struggle between a hunter and its prey. Council’s starting point for creatures that consist of numerous component parts, otherwise unrelated to the animal, began with an illustration commission from a recycling organisation. Being asked to draw a dinosaur from rubbish, what was became the Bristol Dinosaur was born. Several incarnations of the creature followed, including a sculptural version at the M-Shed museum and the mixed-media Ultra Bristol Dinosaur. The print arrives at a time that Council works on one of his biggest commissions yet, a double wall mural to celebrate the opening of the MediCinema at the Chelsea and Westminster Hospital for the charity, CW+. The years since have seen the artist create an Ice Cream Dragon spray piece in Birmingham, a kite that reflects its surroundings in the idyllic Savoie region of France and now his latest creations are available to buy as part of the affordable Edition Fifty street art print series. Fossilised Fight by Andy Council will be released to the public at 15.00 GMT on Thursday 30 July 2015 http://www.editionfifty.com in a strictly limited edition of 50, high-quality prints.